June thi Std 1 to 5 ma New Syllabus .....! Commissionerate of Higher Education 496 Adhyapak Sahayak Posts Recruitment 2015. 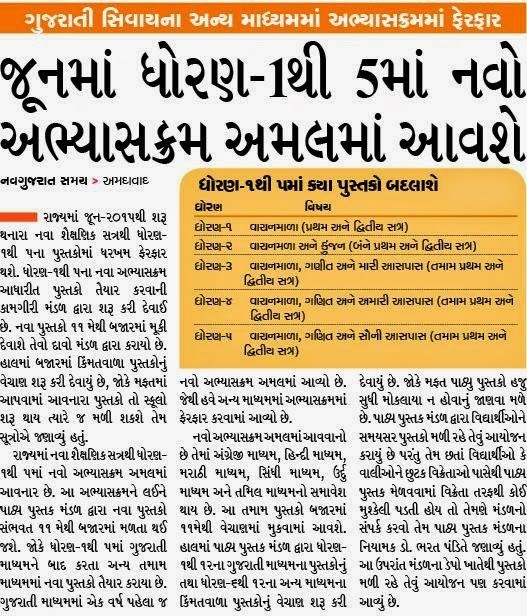 Commissionerate of Higher Education (CHEGUJ) has published a Advertisement for recruitment of 496 Adhyapak Sahayak Posts 2015. Educational Qualification : The candidate must possess Master’s Degree in relevant subjects with at least 55 % of marks or its equivalent grade of 55 % marks in grading system. Candidate must have qualified National Eligibility Test (NET) or other like State Level Eligibility test in the relevant subjects conducted for the purpose by the University Grants Commission or any other agency approved by the University Grants Commission. ACPC Admission Information on BISAG .........! JEE Main Answer key 2015 (04-04-2015) .........!